Most of the time I love a photo either black and white, or color. It usually seems the light and the emotion call for one or the other. But sometimes, I just can't decide. Shot with a D800 & 105 2.0 DC at 2.0 ISO 400 SS 1/3200 in mid-morning shade with a patch of sun. Black and white. The dandelion gets lost in the color. I can't decide - I think it's because one is not better than the other. They each give such a different feel - I love that the change between can do that. Each one is so gorgeous! Love kids blowing dandelion puffs! This is a REAL tough choice, Melissa. I am going to say the color one, quite simply because the color of this little angel's hair is so beautiful. 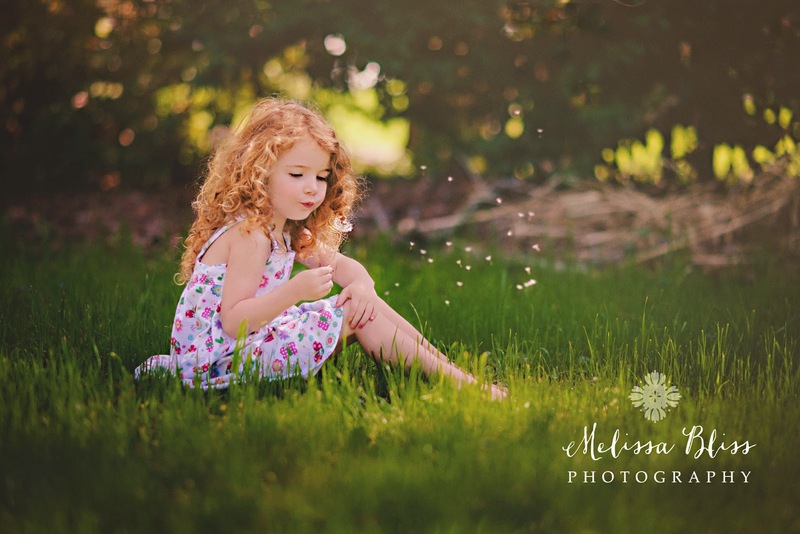 They are both wonderful but for this one I'm going with "color" it really shows off the details of the your little girl, and the dandelions. I have to say the color one as well, it's spring and the colors are what make it magical...her hair her dress, the pockets of light...so beautiful! I absolutely adore the colour version! I think the colour version really shows the beauty and light of Spring. She is adorable!